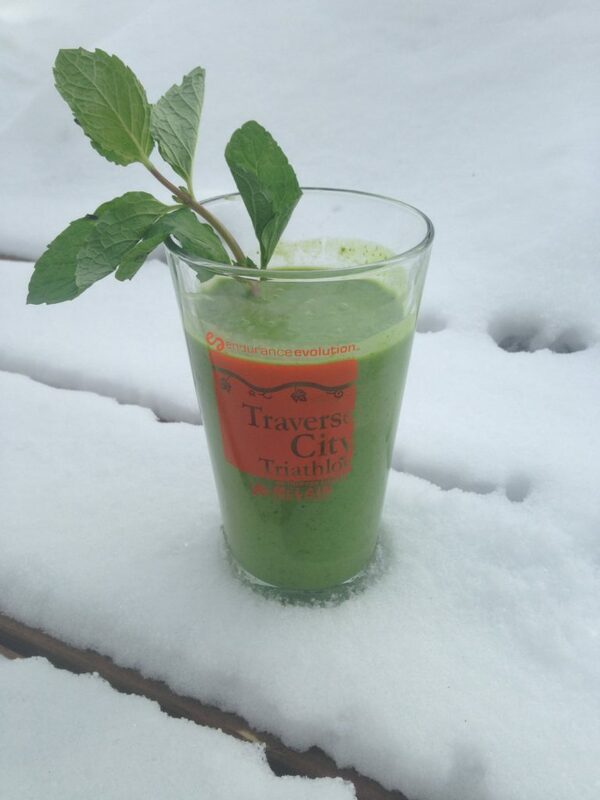 Friday Fueling, St. Paddy’s edition: Go ahead and enjoy a (healthy) shamrock shake! Posted on March 16, 2018 at 3:46 pm. It shouldn’t come as a surprise to you all that I’ve never actually tried this very popular drink, but when people I know who normally eat healthy were raving about how much they love this strange green treat, I decided I needed to attempt to create a Healthy Chef Ali version! So what’s in it? The (traditional) Shamrock Shake contains artificial green coloring and artificial flavor, as well as high fructose corn syrup. And some other weird stuff … (See those ingredients here » ) With a strange list of ingredients, they are pretty much the opposite of real food! My version uses real food ingredients that are actually green, like spinach, mint, and my favorite food avocado, so it is a tasty and much healthier way to get your Shamrock Shake fix. Smoothies are such an easy way to get mega nutrition. Some people think avocado is only for toast and guacamole and may find it odd to add avocado to a smoothie, but not me. 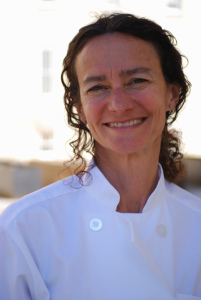 (Maybe someday I will share my amazing avocado chocolate pudding recipe with you.) Remember, avocados are actually a fruit! They also add a creamy texture and healthy fats. Avocados also act as a “nutrient booster” by enabling the body to absorb more fat-soluble nutrients, such as vitamins A, D, E, and K, in foods that are eaten with it. 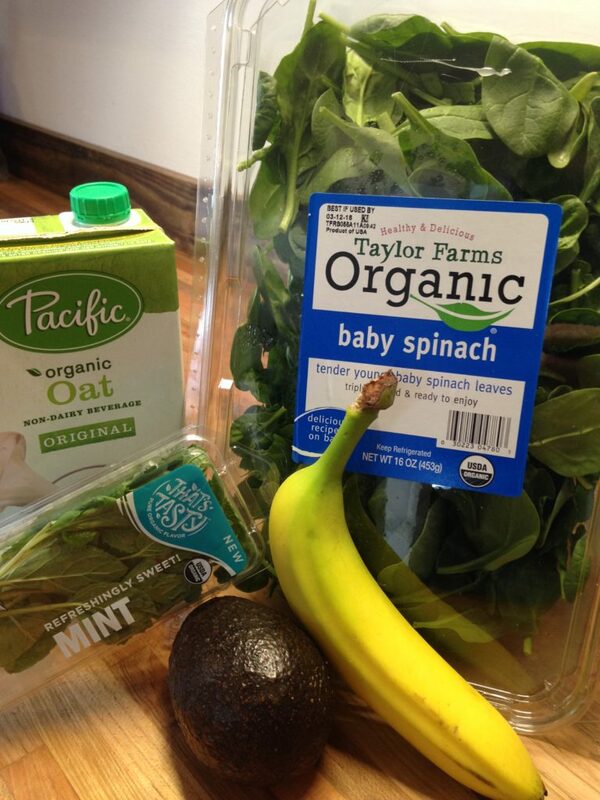 Spinach is also perfect for smoothies, since it has a fairly mild taste yet packs a punch nutritionally. It contains high amounts of vitamins A, C, and K, as well as folate and B vitamins. Spinach is a good source of certain minerals too, like iron, magnesium and potassium. And as a bonus the vitamin C in the avocado helps the body absorb more iron from the spinach! The banana adds a good dose of potassium to the smoothie as well as fiber. And the real mint leaves are much better for you than some artificial mint flavoring. They provide Vitamin A and C as well as magnesium (another good runner nutrient) and are great for digestion! Although, thankfully you can only get the McDonald’s version once a year — my version is sweet and creamy, with enough nutrition to make it a great choice any time of the year. *you can also add a scoop of your favorite protein powder to really boost the nutrition. Place the milk, spinach, banana, avocado and mint leaves in a blender and blend until smooth. Taste and add honey or maple syrup to your preferred sweetness. Top with whipped cream if you want!